John Cena is a professional wrestler who is now gaining worldwide recognition as a film actor. Thanks to excellent cameos in films such as Sisters, Daddy’s Home, and his starring role in the film Ferdinand. It looks like Cena is set to become as big an action hero as fellow wrestler Dwayne “The Rock” Johnson. Throughout his career, John Cena has been known for his impressive physique. With many fans asking whether he has achieved it naturally or through the use of steroids. In this article we will take a look at the facts, and use them to speculate on whether John Cena uses steroids or not. It’s important to note that whether he does or not should not detract from his achievements. Being a professional wrestler working for the WWE is one of the most demanding jobs in the world. Involving year round travel, practice, bodybuilding, performing, and acting. It’s basically like being an action movie star, but for years on end. 6 What are Anabolic Steroids? 10 Conclusion – Is John Cena On Steroids? John Cena was born in West Newbury, Massachusetts in 1977. He has 4 brothers. He attended a Catholic High School in Lawrence, Massachusetts before attending Springfield College. While at College he became a Centre on the College football team. He left college with a degree in Exercise Science and decided to become a bodybuilder. At high school he had doubled his body weight from 120lbs to 240lbs . If you’re wondering, yes this is a suspiciously large increase in mass. In 1999 he started wrestling with Ultimate Pro Wrestling (UPW), he became their Heavyweight champion in 2000 before leaving to join the World Wrestling Federation (which is now WWE). After 6 years there he became World Heavyweight Champion. He has won 13 WWE Championships and 3 WWE World Heavyweight Championships in his time there. Currently John Cena is still with the WWE but is less often performing as his film work increases, clearly he hopes to achieve the same film star popularity as fellow wrestler The Rock. If he does make that change, you can expect him to build an even more impressive physique, just like the Rock did. While he was wrestling week-in week-out, Cena would probably have trained slightly differently to how he does now. This would be because he was training for a specific goal, to wrestle better. His endurance would need to be higher, he would need to be leaner and more athletic, rather than being muscle bound. These days he follows the traditional bodybuilder’s split, day one includes legs and calves, day two is chest, day three is arms, day four is shoulders, and day five is back . Obviously the workout information isn’t too specific, this information comes from a training program that he shared with Muscle & Strength. The training program involves lots of high rep sets, with rep ranges around 10-25 depending on the exercise. Some workouts will have 400 reps or more across a wide range of exercises. There are some super sets, and a few sets where you train to failure. This is a fairly typical bodybuilder routine aimed at increasing hypertrophy. It would be very difficult for a regular lifter to perform this properly due to the sheer volume of the workout. There is a lot of conflicting information about what John Cena eats during the day, with different websites guessing what foods he eats. But two websites have cited the same meal plan, which either means they’re both right, or one copied the other! His breakfast seems to consist of 6 egg whites, 2 eggs, oatmeal, and a protein bar. He has chicken, rice, and vegetables for lunch, a tuna sandwich as a snack, more chicken, rice, and vegetables for an evening meal, with a protein shake and banana as a snack. Then he has casein protein and cottage cheese before bed . There’s a lot of protein here, but the calories seem a little low for a 250lb monster! If you asked any professional wrestler whether they were on steroids or not, they would absolutely deny it. That’s par for the course, their jobs, their sponsorship, and even their freedom is on the line. One wrong answer and they could lose everything. But take a look at their physiques compared to Olympic wrestlers, MMA fighters, or boxers, they are completely different. A professional wrestler looks more like a bodybuilder than a fighter. Vince McMahon (the CEO of WWE) has admitted to distributing steroids among wrestlers, and taking them himself. Eddie Guerrero was proven to have purchased (and presumably used) steroids. The wrestler Edge has admitted to using steroids, Kurt Angle was punished by the WWE for being caught with steroids. Hulk Hogan admitted to using steroids throughout his career, and Chris Benoit was found to have steroids in his possession when he died. Check out this article by therichest.com which looks at 20 of the most well known steroid abusers in WWE history . Some, like Chris Masters had admitted to using steroids, while others have never admitted to it, but have been caught out by the press (like Randy Orton). When you look at the 20 wrestlers who have been caught, it is not hard to imagine John Cena being one of them. He’s bigger than some of them (Edge is quite a bit smaller than Cena), and of a comparable size to most. This does not mean he certainly does take steroids, but it is important to understand that professional wrestling, just like professional bodybuilding has a culture of steroid abuse. Anabolic steroids are synthetic hormones that are medically used to prevent muscle wastage in people suffering from diseases such as Aids. They are also given by doctors to men who have very low testosterone levels, either through illness, or genetics. Anabolic steroids are used by athletes, actors, and bodybuilders for a number of reasons, and John Cena represents all three careers! There are steroids that you can use to build strength and increase muscle size (known as hypertrophy). Examples of these are Dianabol, Testosterone, Deca Durabolin, and Trenbalone. If you are looking to get as big as possible then these are the steroids that you would take. Then there are steroids that you would use to improve your performance as an athlete. You can use them to increase strength, power, and general athleticism. Wrestlers would use this to help them become more powerful so that they could jump higher, throw each other around more, and generally compete at a higher intensity. An example of a performance enhancing steroid would be Winstrol. The final type of steroid is one that you would use to burn fat, bodybuilders use them when cutting. Wrestlers could use them to make weight if they had got too bulky. They could use them to look more ripped, and to increase vascularity. The most well known steroid for cutting is Clenbuterol, and it is usually taken alongside testosterone. The most obvious sign that someone is taking steroids is a large increase in muscle mass over a relatively short time. When Cena doubled his body weight as a teenager, that could potentially be due to taking steroids, although it could also be due to hitting puberty. 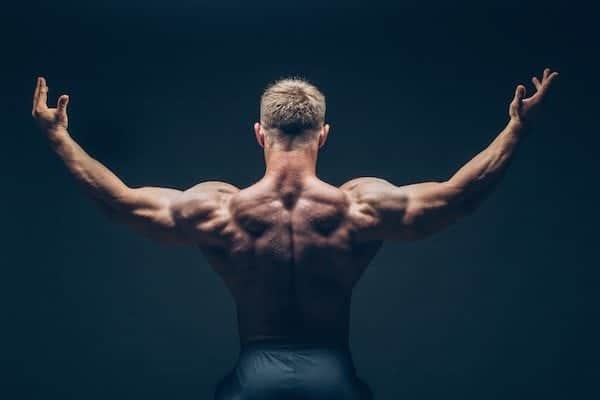 Being able to train 6-7 days per week, alongside a hectic schedule without suffering from overtraining is another example of someone who is benefiting from steroid use. Very large traps are another sign that someone could be on steroids, as is a rugged jaw. However these signs are not too reliable because someone with naturally high testosterone could also have them. If someone is taking other drugs such as HGH or insulin this can lead to a bloated gut. It’s sometimes hard to spot, because the person in question will still have a six pack, but once you know what to look for it can become more obvious. Some people are just born big, when you look at photos of John Cena and his brothers there isn’t too much difference in size. Sure, they could all be taking steroids, but this seems unlikely. Cena has always been training, he played Football, took part in bodybuilding, has been a professional wrestler for 18 years, and has also trained for action movie roles. There has probably not been a period of longer than a week where he has not been training. His whole life has been based around nutrition and exercise, anyone who spends that amount of time in the gym will have a killer body to show off at the end. Since 2000 Cena has had access to some of the greatest coaches in the world. He has the resources to get a professional dietician creating his meals (if he decides to), has wrestling coaches, and bodybuilding coaches too. He’s training smarter than almost anyone else. Remember that he also has a degree in Exercise Science, so he’s going to know a lot about training himself. Doubling your body weight in just a few years is not common. Yes, as a teenager you’ll be getting huge, natural surges in testosterone production, and human growth hormone too. But it’s still rare to see 18 year olds who have a physique like Cena had at that time. A transformation that is as dramatic as Cena’s is almost always due to steroid use. We’ve seen it with professional cycling, when everyone around you is taking steroids and other performance enhancers it leaves you at a disadvantage if you abstain. As Chris Masters said, to get big enough to be considered for wrestling, he felt that he had to take steroids because the competition was so strong. An obvious reason why it could be claimed that Cena is on steroids is his physique. He is huge, has large well developed muscles and very low body fat almost all year round. His pectorals, arms, traps, and shoulders are bigger than most competitive natural bodybuilders could manage. Either he is one of the best natural bodybuilders ever, or he’s on steroids. Conclusion – Is John Cena On Steroids? This is a difficult one, on the one hand John Cena is from a family with lots of similarly built brothers. He has also dedicated his life to training and has access to all of the equipment, coaching, dietician, and supplements that he could ever need. On the other hand, he has the physique of someone on steroids. It’s an uncomfortable position for us to be in. John Cena is a truly great man, he has had a fantastic career, does a lot for charity, and seems a really likeable person. Accusing someone of taking steroids is basically the same as accusing him of being a liar and a cheat. But if he is lying, it is only because he has to. What option does he have? Wrestlers who aren’t taking steroids will be smaller than the competition, will not be able to recover from exercise as quickly, will find it more difficult to focus, and will be more susceptible to injury. Also, apologies to any wrestling fans but it is not a real sport. Yes it is a very physical endeavour, and it takes as much dedication and hard work as any other sport. But the results of wrestling are pre-determined. Any sport where David Arquette can win your most prestigious title, is not going to be that competitive . This is not to disparage wrestling, but it is a performance akin to acting. That means that taking performance enhancers is not cheating any of your competitors, but rather it is enhancing the performance. Compare that to sprinting, where someone taking steroids is gaining an unfair advantage over the rest of the field. Whether John Cena takes steroids or not, it will not affect how good a wrestler he has been, or how kind and generous a person he is. In order to gain muscle and strength without the use of steroids you will need to take some advice from John Cena's training and nutrition. Building muscle and strength is more complicated than simply training intensely and eating loads, but this would be a good place to start. Another tip would be to look at supplementation. While they are not as effective as steroids there are legal alternatives available that can offer numerous benefits. Crazy Bulk offer a number of supplements that are both safe and legal to use, that offer various benefits. One of their more popular muscle builders is a product called D-Bal, which is an alternative to the banned steroid Dianabol. D-Bal contains various ingredients, such as numerous BCAAs, Whey Protein Concentrate and Tribulus Terrestris, that when combined can help to increase nitrogen retention. This will lead to an increase in protein synthesis. 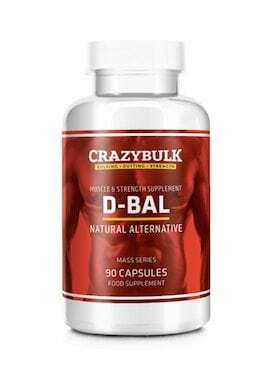 If there are any doubts in your mind about regarding the effectiveness of D-Bal, you only need to visit the Crazy Bulk website. They have a number of user testimonials available to prove their claims. Does anyone really think he’s not on steroids? How naive are people?